Forcepoint has announced its security solutions now incorporate new behavior-driven controls to help protect critical business data, intellectual property, and employee devices. Forcepoint CASB, Web Security and Email Security have all been updated and now have new capabilities. New CASB analytics have been incorporated to help organizations reduce the time it takes to identify data breaches. Forcepoint cites Gartner data, which shows the dwell time between an attack and discovery is an average of 99 days. The longer a breach continues before it is discovered and mitigated the higher the cost to the organization. By using data and analytics it is possible to greatly reduce the time between an attack and detection, and thus reduce the cost and damage caused. Forcepoint CASB helps organizations study the actions of users to identify risky behavior and vulnerabilities, allowing IT teams to take action to be taken before a breach occurs. The solution also helps IT teams identify anomalies which are indicative of a data breach and take rapid action to mitigate attacks. The new capabilities of CASB include analyses of user behavior and application characteristics, such as the data involved, the device being used, and its location. User behavior is detailed in a new single-view user dashboard along with the risk that the behavior poses to the organization. The solution is well suited for use in healthcare and can help to detect insider breaches such as when physicians – or other employees –copy PHI to personal cloud accounts to take to a new employer. Prompt detection allows IT teams to terminate accounts to prevent further data loss and block attempts to export data. The Forcepoint Web Security platform includes new functionality to help IT security teams block unsanctioned shadow IT and the platform now enables more granular control of cloud-based applications. The solution also incorporates new cloud migration tools to help organizations make the transition when they are ready. Lastline-powered Advanced Malware Detection (AMD) has been made available for both the on-premises and cloud-based versions of the Web Security and Email Security platforms and AMD sandbox technology has been integrated to ensure users are protected in real-time, no matter where they are located. 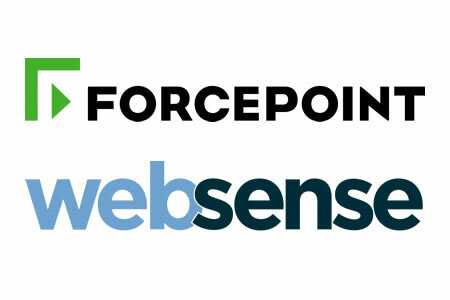 Forcepoint has also published several new resources to help customers get to grips with analyzing their cloud controls and start using behavior analytics to keep their sensitive data secure.